Martin Audio will hold three days of special training for its multi-cellular array technology (MLA) loudspeaker system in the Chicago area from September 15-17 at the Aloft O’Hare Hotel in the MB Financial Park in Rosemont, IL. The training encompasses a three-day certification program with two days of classroom instruction and one day of practical application covering the concept of MLA, current versions of the MLA including MLA Compact and MLA Mini, Display 2.0, and VU-NET control software. 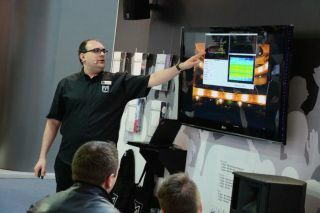 Instructors for the training will be Jim Jorgensen, UXM and MLA product support specialist for North America, and Andy Davies, Martin Audio product support group leader for the U.K. and Europe. Classroom sessions will run from 9 a.m. to 4 p.m. with breakfast and lunch included, and practical instruction in the field from 10 a.m. to 3 p.m. on day three.